Shelby Fredericks battles for a draw control. 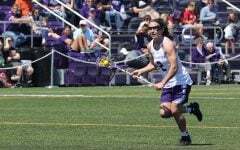 The sophomore attacker scored 3 goals in Northwestern's last game. The Big Ten Tournament will be played in its entirety in Evanston this weekend, so for Northwestern, it’s win or go back to your dorm. The No. 3-seed Wildcats (8-8, 3-2 Big Ten) will take on sixth-seeded Michigan (6-11, 0-5) in the first round of the Big Ten Tournament in a must-win game for NU. The team has to finish the regular season and Big Ten Tournament with a combined record of at least .500 to qualify for the NCAA Tournament. The Cats last played the Wolverines in early April, recording a commanding 20-4 win — the largest victory of margin for the team this season. But coach Kelly Amonte Hiller said her squad is not going to rest on its laurels heading into Thursday’s matchup. Thursday will not be the first time NU faces the pressure of a must-win scenario. Last week the team dominated Ohio State in a 22-13 blowout. Had the Cats lost to the Buckeyes, the team would have had to win the entire Big Ten Tournament to qualify for the NCAA Tournament. 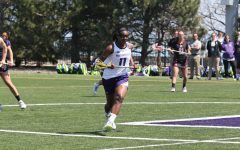 Sophomore attacker Shelby Fredericks, who leads the team in draw controls, said the team has faced pressure to win throughout the season because of the team’s remarkably difficult schedule. Despite Fredericks scoring 3 goals last week against Ohio State, the sophomore only recorded 1 draw control. Sophomore standout Selena Lasota took over for Fredericks at the draw circle and won 6 draw controls in her place. Freshman goalkeeper Mallory Weisse said the best way for the team to alleviate the pressure on the defense is to control the draws against Michigan on Thursday. She said draw controls will be imperative for the team to come away with a win and will help NU manage the game’s tempo. In the Cats’ last game against Michigan the team was coming off of a tough overtime loss to then-No.16 Penn. 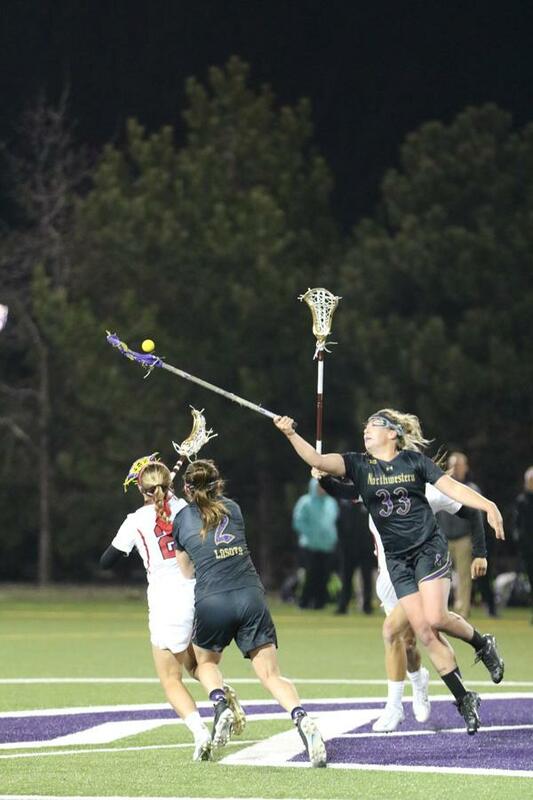 Prior to defeating the Wolverines, NU had dropped three of its previous four games, including two losses in overtime. Fredericks said the team has to use the same fire it had after its loss to the Quakers again on Thursday.